The Master Chief returns to battle an ancient evil bent on vengeance and annihilation. Shipwrecked on a mysterious world, faced with new enemies and deadly technology, the universe will never be the same. Enlist aboard the Infinity to experience Halo’s original multiplayer and Spartan Ops - innovative episodic fiction-based co-op missions. While I'm hardly an expert at map creation, Halo 4 provides the community with plenty of tools, which will undoubtedly result in some killer new game types. In many ways, 343i's first foray into the Halo universe is a neat, little bundle of fan service providing the ultimate community-driven game experience. Halo fans are a loyal bunch, and they'll be pleased to know that this game was lovingly crafted with them in mind. 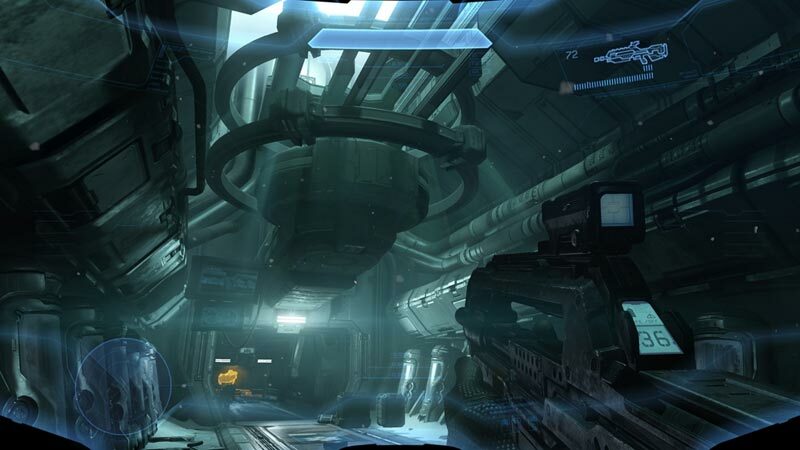 Halo 4 is every bit the massive shooter package that its predecessors were, and it holds the series' standard high. The thrilling and emotional return of Master Chief and Cortana is the highlight, and the campaign breaks new ground in narrative quality for the franchise. The top-notch competitive multiplayer picks up where Halo: Reach left off, infusing the action with some mainstream elements while still remaining undeniably unique. Spartan Ops may stay a mere sideshow or prove its worth in the weeks to come, but there's no doubting that the next planned Halo trilogy is off to a great start. Previous runs in the franchise saw the introduction of features that were not only game-changers within the series, but at times within the industry. You don’t see that forward progress with Halo 4. Instead, you see 343 Industries playing it safe and paying tribute to the past as they complete the developer transition. They’ve proven their passion and acumen for handling the franchise, and hopefully Halo will return to its industry leading ways in the next iteration. 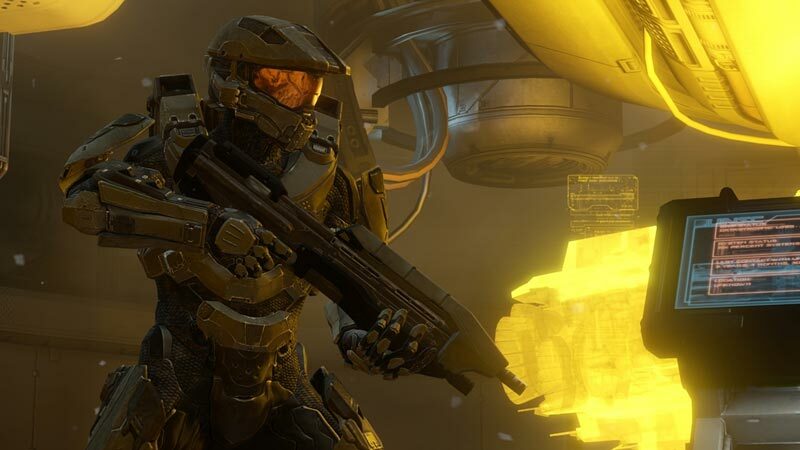 Halo 4 is Halo – a surprisingly successful, mandatory step for 343 Industries. But the game strives for more than competence, giving it a forceful march and a decadent show of strength. Our doubt and questioning of Halo's continued existence has, in some small way, helped deliver one of the best games in the series and one of the finest shooters in years. Of course, if we want to use this tactic for the next one we'd better start now. The decision to alter the multiplayer while essentially leaving the campaign structure alone is a curious one that will resonate with fans more than the casual observer. It's a sure sign that at some point, the studio decided to keep it safe for its first foray with the Chief. It's a massive, polished game that provides a lot of value, but it can also feel like hanging out with an old high school friend. It's comfortable and still fun, but eventually you realize that you're slowly drifting apart. 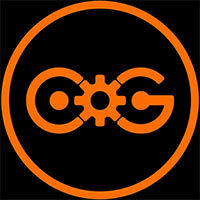 Like any game I have minor grievances, but nothing so glaring that it takes away from my positive experience. 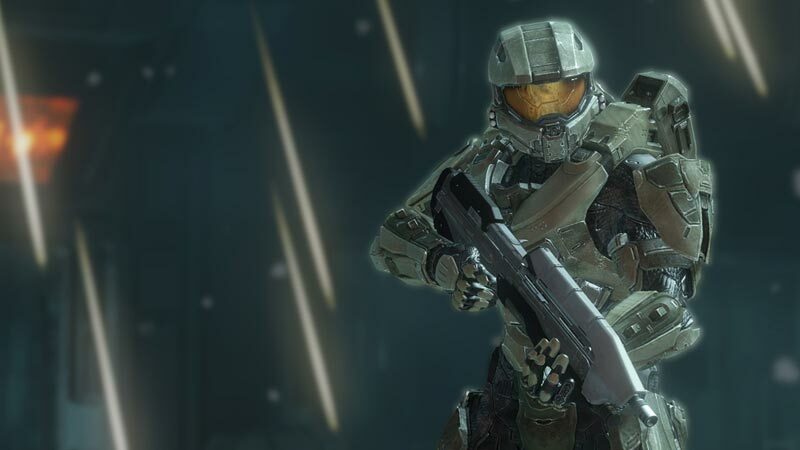 But the overall question persists: do we need another Halo trilogy? The answer to that is a surprising no, for you, the general public that’s looking for nothing more than a minor multiplayer distraction. But from one dedicated Halo fan to those looking for an evolution in story, creation, and online play, yes, we freakin’ do. It feels good to finally say after many years that Halo is back. Sure, some may complain the familiarity of the gameplay is a bad thing, but in the end, even though you do get a recognizable feeling when playing, the overall experience that Halo 4 provides is very enjoyable and one that you should not miss. Welcome back Master Chief, the wait has been far too long. At its core, everything still feels like a Halo game. While there are new some new elements that change the gameplay a little, that weight of playing as a super soldier is well balanced between the sense of speed and strength in the multiplayer. 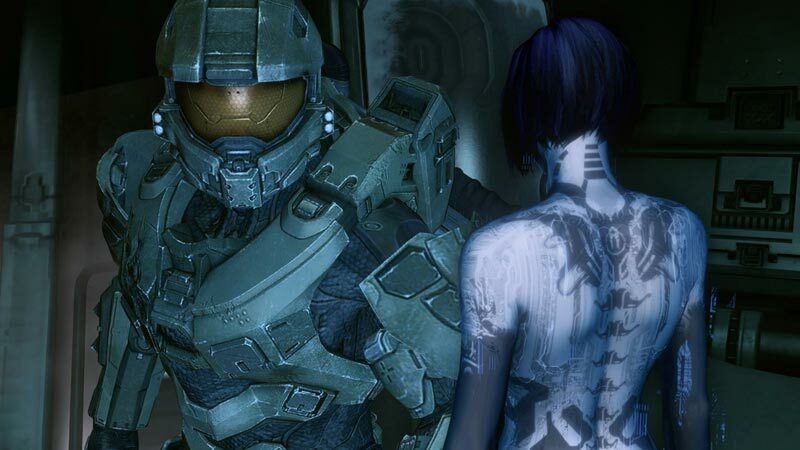 343 Industries have done a remarkable job at continuing the Halo legacy. Many fans have been worried about what Microsoft and 343 Studios had in store for the beloved Halo franchise. I can reassure you that there’s no need to worry. With this just being the beginning of the second act of Master Chief’s long and strenuous military career, there’s only room for improvement. Halo has been the king of console shooters for a long time now, and 343 Studios isn’t going to allow the crown to be taken away from Chief anytime soon. The presentation end of Halo 4 is quite nice. The music is outstanding, breaking away from the franchise's past a bit by updating the sound and getting away from some of the overt monk chanting that one still tends to associate with Halo. It helps make Halo 4 sound like its own thing, and that goes a long way. Visually, Halo 4 has some terrific moments that really stand out, but it also holds up well on the technical end with a good frame rate, great lighting, and, for the most part, sharp texture quality. Again, these things help to make Halo 4 look and feel different from its predecessors, probably more than the gameplay does. In that way, Halo 4 is most like the original Halo, where the novelty and wonder of exploring something really alien and different is a key factor. While Halo 4 continues the series' tradition of iteration on its own design more successfully than any one of its predecessors, that sense of awe, of discovery, has been light since the first game, and I didn't realize how much I missed it until I played Halo 4. Whether I am watching a grenade explode a Promethean into a shower of sparks or charging with friends at my side through a cooperative adventure, Halo 4 makes the series feel new again. 343 Industries’ clear affection for the property shines through, leaving me thrilled to join Master Chief for another decade in defense of the galaxy. 343 Industries’ Halo 4 establishes itself not as “the next” Halo game, or “another sequel,” but instead opts to be a new beginning for the franchise--one with more commitment to its characters. It’s refreshing to see the series admit its shortcomings and catch up with its contemporaries without sacrificing what makes it unique, and that’s just what Halo 4 does, creating a name for itself without relying on its popularity, and getting us excited to start, continue, and one day finish the fight all over again. Halo 4 is a masterstroke everyone can and should celebrate, and its two guaranteed sequels instantly make the next-generation Xbox a must-own system, with Halo 5 its most anticipated title. Halo has been rebuilt. It has been redefined. And it has been reinvigorated. The Xbox’s original king has returned to his rightful place on the throne. It's going to feel a little off with a new studio taking over the franchise, and Bungie left a big mark on gaming with Halo. While 343i shouldn't just try to make a Bungie game, the single player isn't up to the series' standard. 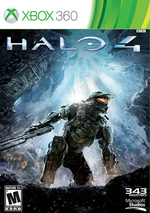 Halo 4 does balance that with a robust amount of content across the various gameplay modes. The continuation of Master Chief's story feels a little thin, but War Games, Spartan Ops and all the other multiplayer offerings Halo 4 will keep you playing for months to come. They can rest easy. 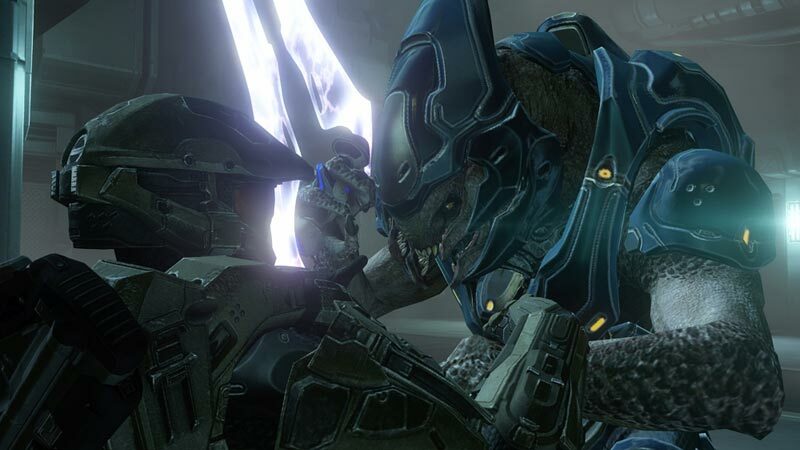 Halo 4 is authentic, and assures 343's role is more than a mere tribute act. Their delicate yet sprawling work may be more continuation than true expansion - and perhaps the true test comes in the next step - but for now, Halo returns with a bang, not a whimper. At the end of the day, Halo 4 stands as a particularly polished piece of fan fiction that not only deserves to be released, it carves its own way in an established universe, carefully paying homage to the tropes of what has come before, while boldly establishing its own mythology and gameplay lore. Master Chief bursts back onto the scene in an offering that makes a few key changes, injecting the story with much-needed pathos, and tweaking the gameplay in exciting and challenging ways. Halo 4 is a familiar game, in ways both welcome and otherwise. Halo 4 es acción de la vieja escuela. Con un buen off-line y un multijugador fantástico, sólo hemos echado en falta un plus de innovación y un extra de inspiración para que 343 Industries ofreciera un título a la extraordinaria altura de los grandes de Bungie. Así, ¿qué es lo que nos queda? Un shooter en primera persona sobresaliente, divertido y absolutamente cargado de contenidos. Un más que optimista inicio para la nueva trilogía de Jefe Maestro. Un gran punto de partida para la saga, que empieza de nuevo recogiendo mucho de lo sembrado a lo largo de una década. Campaña variada, de las mejores de la serie, con unos Prometeos que se convierten en los enemigos más desafiantes de la saga y muchas novedades a nivel de herramientas: armas y vehículos. Halo 4 solo se puede comparar en tamaño a sus predecesores, y en este sentido la campaña es más intensa en combates (sobre todo de infantería), aunque con una escala menor en tamaño y épica en los grandes momentos y con algunas modificaciones en ciertos detalles complementarios. Tenemos, por tanto, un modo campaña intenso, divertido y épico con todas las señas de identidad de la casa y que sabe llevar el ritmo y avanzar en lo narrativo sin perder la esencia de los primeros juegos de la serie; tenemos una segunda campaña, sin duda menos importante pero que, a golpe de aumentar semanalmente en contenido, alarga la vida del juego cooperativo durante al menos las diez semanas que durará la primera temporada, amén de ofrecer una historia adicional, distinta a la del Jefe Maestro; y tenemos un modo multijugador completísimo, sólido, variado, que sabe mirar a sus antecesores para seguir con los pies en el suelo a la hora de incluir novedades, pulir lo pulible y prescindir de lo prescindible. Die Geschichte wirkt mitunter etwas kitschig, führt Neulinge aber behutsam ins verwirrende Halo-Universum ein. Leider zwingt Microsoft uns hierzulande wieder eine misslungene deutsche Vertonung auf. Die menschlichen Soldaten nerven nicht nur mit stupiden Sprüchen, sondern auch mit übermütigen Alleingängen. Da man meist alleine unterwegs ist, ist das aber nicht tragisch: Trotz kleinen Macken gehört die Kampagne von Halo 4 zu den besten der Seriengeschichte. Bisher hinterlässt das Spiel einen sehr guten Eindruck - mal sehen, was der Multiplayer bringt. In puncto Story erreicht die Serie hier neue Höhen und wird vom bewährten, praktisch unerreichten und ganz kurz vor absoluter Perfektion stehenden Konsolen-Shooter-Gameplay getragen, das in der Kampagne wie auch im Multiplayer nie langweilig wird und zusätzlich mit Spartan Ops noch viele Stunden mehr an Unterhaltung verspricht. Man hätte sich für 343 Industries keinen besseren Einstand wünschen können, als diesen rundheraus gelungenen Abschied von der "alten" Xbox 360. Ich ziehe meinen imaginären Hut vor dieser Leistung und verneige mich tief. A nouveau développeur, nouvelle optique. Halo 4 est un excellent petit titre, poussé par une ambition qui fait du bien et une générosité qui force le respect. Design somptueux, narration léchée au service d'une histoire plus mature en dépit de quelques maladresses, jouabilité modernisée, tout semble sourire à 343 Industries dont on attend de fait les prochains épisodes avec impatience. Mais là où Bungie avait progressé, c'est à dire la fluidité dans la progression, l'intérêt des missions et une stabilité du rythme sur un jeu entier, 343 Industries pèche et semble ne pas maîtriser son sujet. Reste un exercice de style de qualité, très bien fait, avec de vrais beaux moments, mais qui risque de décevoir ceux qui attendaient une grande marche franchie après Halo 3. No final, este ainda é um jogo bastante conservador e fiel ao espírito original, mesmo se vemos significativas mudanças por força de Requiem, um planeta Forerunner e pelos Prometheans, uma raça alienígena que fomenta mais alguma diversidade ao combate. São mudanças ligeiras e pouco sensíveis, como também as são na parte dos movimentos da personagem, mas num sentido certo e seguro. La serie di Halo è una delle più amate dell'industria videoludica e Bungie è uno degli sviluppatori più talentuosi del settore. Nonostante questo, i 343 Industries hanno confezionato un gioco solidissimo, sotto alcuni aspetti come la direzione artistica e la capacità di ampliare a dismisura l'universo di Master Chief, persino superiore ai precedenti episodi. Det nya spelläget är ett berättelsedrivet samarbetsläge indelat i episoder. Fokuset ligger på lite mer direkt action och svårighetsgraden är relativt hög, vilket på ett positivt sätt uppmuntrar till noggrant samarbete för att överleva. 343 har utlovat kontinuerligt släpp av nya delar en lång tid framöver och tillsammans med det redan stora utbudet skapar detta ett paket som ger sanslöst mycket spel för pengarna.